Breakfast is named as “Guo Zao” in Wuhan and hot dry noodle is the most favored food for Wuhan natives who like eating spicy food, such as hot duck neck, beef noodle with spicy red oil, paste rice noodle, with hot dry noodle as the most representative food. After having a bowl of noodle rapidly with the delicacy and fragrance of hot pepper and sesame paste, people will get hot all over. Then, a day of Wuhan people gets started. “What do you have for breakfast?” When being asked by his classmate, Yang turned around and the sound of slow shuffling footsteps of his flip flops stopped abruptly. RAP rhythm was shown under his feet: “we always have hot dry noodle in Wuhan.” “Of course hot dry noodle!” Someone echoed in one dormi­tory in Wuhan dialect. Breakfast is named as “Guo Zao” in Wuhan and hot dry noodle is the most favored food for Wuhan natives who like eating spicy food, such as hot duck neck, beef noodle with spicy red oil, paste rice noodle, with hot dry noodle as the most representative food. Hot noodle isn’t stuck in teeth and half-baked and is very chewable. 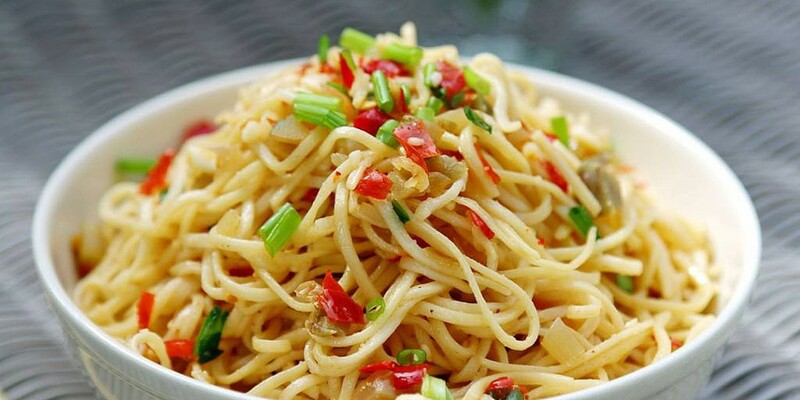 After having a bowl of noodle rapidly with the delicacy and fragrance of hot pepper and sesame paste, people will get hot all over. Then, a day of Wuhan people gets started. Yang isn’t a Wuhan native, but he falls in love with burning hot Wuhan since he studies in Wu­han, lives alongside the Yangtze River and Han River, eats hot dry noodle and listens to the most fashionable dialect RAP song In Wuhan. 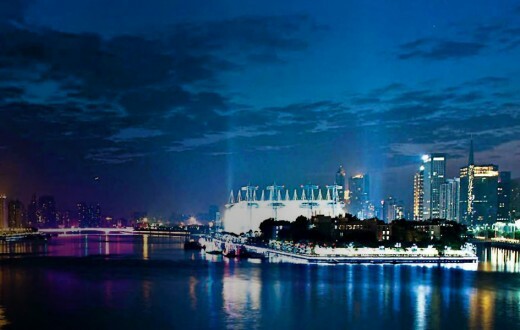 Some call Wuhan as “Wu Han” (soak with sweat) as Wuhan is a place with sufficient sunlight, abundant rivers and lakes. 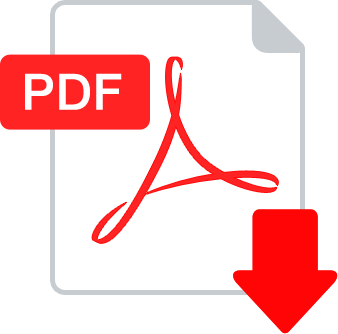 Its topography is like basin, so heat collection is easy and dissipation is difficult. As a result, it’s dubbed as one of the “four glowing cities” in China. It’s maybe because of climate features that everywhere in Wuhan is burning hot. 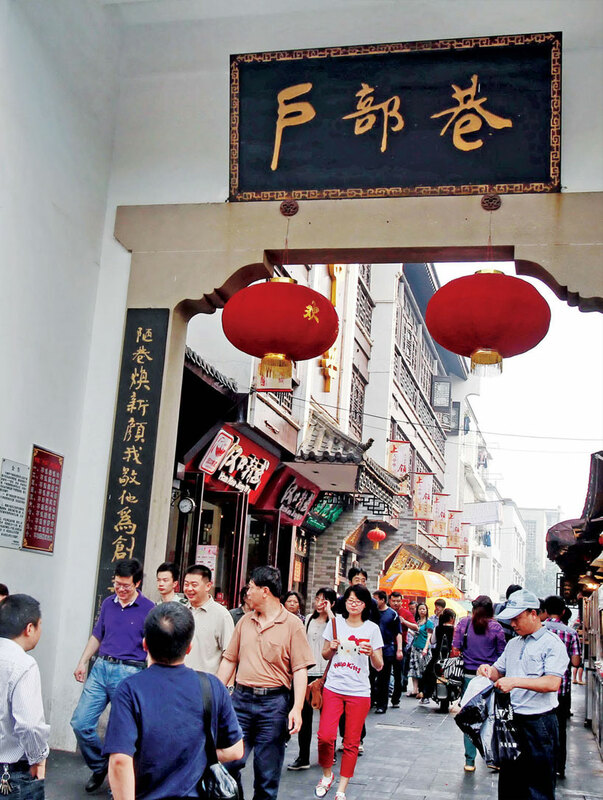 Wuhan people not only like eating spicy food, but also handle affairs readily and treat others hospitably, which couldn’t been keenly felt by one coming to Wuhan for the first time until walk­ing along famous Han zheng Street. With a history of more than 500 years, the small commodi­ties market on Hanzheng Street has become a window for opening up and enlivening domestic economy after the reform and opening-up initiative was launched in 1978.  The market has demonstrated a vivid and prosper scene and attracted attention from China and the world as a whole. At the moment, there are many business streets across China, but Hanzheng Street is a landmark street in Wuhan. Over-packed with visitors and beautiful commodities, it has evolved into a must-go for relaxation and tourism. Apart from Wuhan natives, many merchants doing business here come from all over China. They not only compete against each other business wise, but also showcase their different dialects and regional culture, becoming another attractive glamour on Hanzheng Street and even in Wuhan. 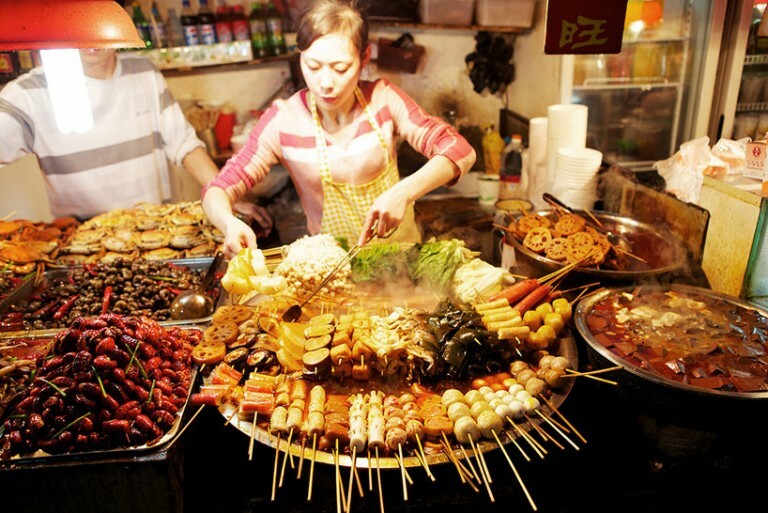 There is a saying in Wuhan that “having breakfast on Hubu Alley and dinner on Jiqing Street”. 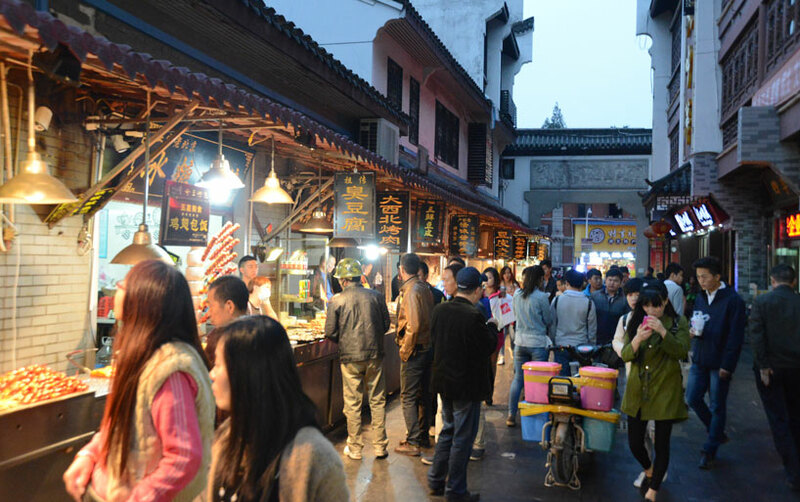 Supper street vendors on Jiqing Street are exceptionally busy and Hubu Alley on Ziyou Road, Wuchang is the most favored place for local residents and visitors. Hot dry noodle, skin of tofu, paste rice noodle, and other food are made available by food stalls on the 150m-long alley with a century-old history, becoming a scene of breakfast with distinctive features. 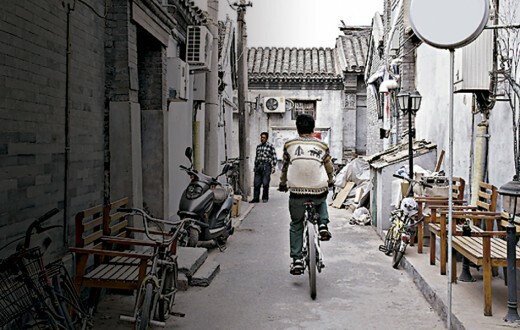 Despite of its small size, the Alley enjoys sound reputation and has become the most well-known “Alley of Breakfast” in Wuhan. The Alley welcomes over 1,000 visitors every morning. Apart from the Yangtze River and Han River, there are many lakes either big or small amongst buildings in Wuhan. When there is water, there is vigor and vitality. Wuhan people love water around them and dub it as “the City of 100 Lakes”. Among others, Donghu Lake gets its name for its location in eastern suburb of Wuhan. Its water area is 6 times of that of the West Lake in Hangzhou, mak­ing it’s the largest lake in city in China. Donghu Lake Resort is composed of several large or small lakes with some islands scattering around. Moun­tains are reflected in lakes, constituting beautiful landscapes throughout the year and attracting a good number of Chinese and foreign visitors. It’s maybe because of climate features that everywhere in Wuhan is burning hot. Wuhan people not only like eating spicy food, but also handle affairs readily and treat others hospitably. 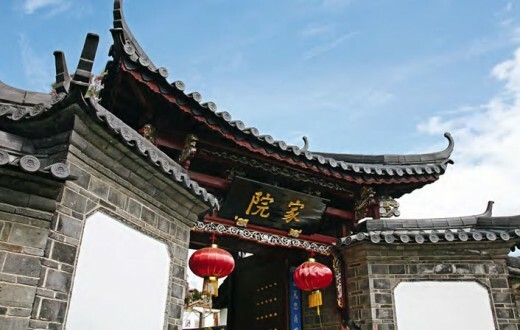 There is a Xingyin Pavilion in the Resort which is built for Qu Yuan, the great poet in the Warring States Period “visiting rivers and reciting poems along pools”. In front of the Pavilion is the Por­trait of Qu Yuan raising his heads and wearing an anxious expression. In China, making rice cake and launching dragon boat race are folk customs during the Duanwu Festival to commemorate the noble and patriotic spirit of Qu Yuan. As the “fellow townsmen” of Qu Yuan, Wuhan people pay spe­cial attention to dragon boat race on Donglu Lake during the Duanwu Festival when drum sounds heavily, dragon boats are moved forward rapidly, audience on the shore side cheer excitedly, showing a more bustling scene than the Spring Festival. Dur­ing the Duanwu Festival this year, Donghu Resort attracted as many as 54,700 visitors via dragon boat race and ancient sacrifice offering. Apart from Donghu Lake, beach is also the water front people like going. In particular, at nightfall in midsummer, many townspeople and visitors like taking a walk, releasing Kongming lantern and fly­ing a kite here. Attended by rising fog, visitors listen to steam-whistle and watch flickering water plants. Complicated chores happened in daytime appear go out of the window. Hilarious people can wander about bars along riverfront boulevards which are overcrowded during the European Cup. Natives and foreign visitors raise beer glass together without any words, becoming a sea of joy. Now that Wuhan is “the City of 100 Lakes”, it has many bridges, so it gets another name of “city of bridges”. Flybridge Wuhan Yangtze River Bridge used for both highway and railway connects the north and south, becoming the source of pride for both Wuhan people and the entire Chinese. It is the first bridge sitting on the Yangtze River. At the mo­ment, Wuhan has constructed many Yangtze River bridges. It’s very common that people go to work, school and visit relatives and friends from the Yang­tze River Bridge and get back via No. 2 Yangtze River Bridge or other bridges. It makes sense to say that a deep chasm turned into a thoroughfare. Built in 1953, Hubei Provincial Museum houses over 200,000 pieces (sets) of cultural relics, including 812 first-grade national cultural relics and 16 relics kept as national treasure. 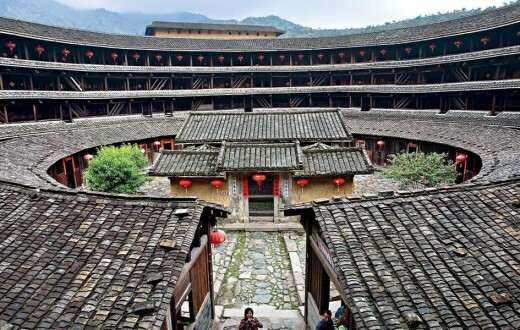 It’s also home to ancient instrument exhibition hall, the large one with the most complete varieties and functions. Admission ticket: free for visiting the exhibition hall. Visits are capped at 5,000 a day. The Museum isn’t open on Monday (except for public holidays and festivals). Wuhan, located in the “heart” of China geographi­cally, is composed of three towns, namely Wuchang, Hankou and Hanyang. The population of major urban area ranks the fourth nationwide, only behind Shanghai, Beijing and Guangzhou. Wuhan is a highly accessible city, important industrial base and also a famous his­torical and cultural city in China. Wuhan is home to numerous cultural sites and many idi­oms and stories originate directly from here. 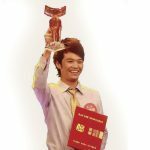 For instance, “Gao Shan Liu Shui” (high mountain and floating water, referring to the harsh reality that talent and ability can rarely meet people who can really appreciate them) is an idiom with special mean­ing in China. Rumor has it that Yu Boya and Zhong Ziqi met each other alongside the Han River. Today, the Qin Stage, fac­ing Guishan Mountain in the east and adjacent to Yuehu Lake in the west, is built to commemorate the idiom. 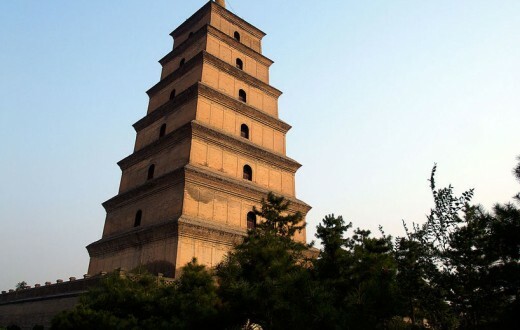 For now, it has become a famous historical site in Wuhan. 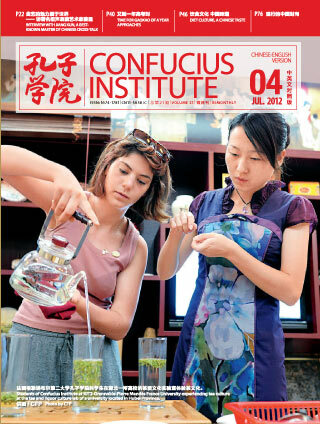 In addition, Wuhan is also the birthplace of Chu culture. 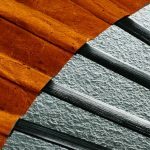 More than 2,000 years ago, Chuese cultivated the unique re­gional culture with breathtaking bronze smelting, silk making, embroidery techniques and literature, fine arts and music. If you want to cast your mind back, museum is a premier place to see grand Zeng-hou-yi Bells, Sword of Goujian still sharp today, or watch a dance of Chu style by performers in zipper front sport shirt with top sleeves, long tails and slender waist; if you wish to appreciate the prospect of Li Bai that “when hearing the whistling at Yellow Crane Tower, loneli­ness is keenly felt as if Jiangcheng City is covered with plum blossom in May”, Yellow Crane Tower along the Yangtze River becomes your destination; if you aspire to understand revolution of modern China, the former site of the first force of the Revolution of 1911 will be a good choice. As a tourist city, Wuhan hopes to provide every domestic and overseas tourist with an opportunity to encounter a bosom friend. In addition to various scenic spots, Wuhan also hosts colorful international festivals, such as Wuhan International Tourism Festival, Wuhan International Acrobatics Festival, Wuhan International Horseracing Festival and Wuhan Inter­national River Crossing Challenge & Wuhan River Crossing Festival. Be it a hurried and cursory glance, or close apprecia­tion, Wuhan offers more choices to you. First built in the Three Kingdoms period with the reputation of “superb view in the world”, Yellow Crane Tower is dubbed as one of “Top 3 Famous Towers in Jiangnan” together with Yueyang Tower in Hunan and Pavilion of Prince Teng in Jiangxi. The graphic design of Yellow Crane Tower is four sides octagon, meaning “extended in all directions”. 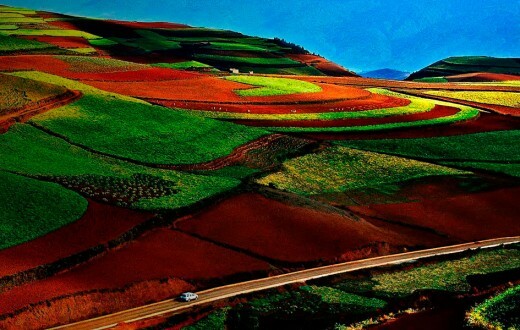 When overlooking, the Yangtze River comes in torrents, a panoramic view of the beautiful landscape of three towns is well within reach.